Humanity is increasingly and persistently think about the state of the environment and the impact that it has on the man himself. Recycling is one of the main directions in the fight for the purity of the surrounding world. Modern garbage containers smaller Newspapers and plastic bottles is the direction of the processing industry is developing most rapidly, effectively solves the problem of disposal of plastic and paper waste. However, a variety of household and industrial waste processing is not subject. Broken glass is one of these varieties of waste, moreover, it is virtually eternal wastes. Glass stays where we left it, without collapsing for hundreds of years. If it was only on household waste glass, the problem would be less global, but there are industrial wastes of the same type. 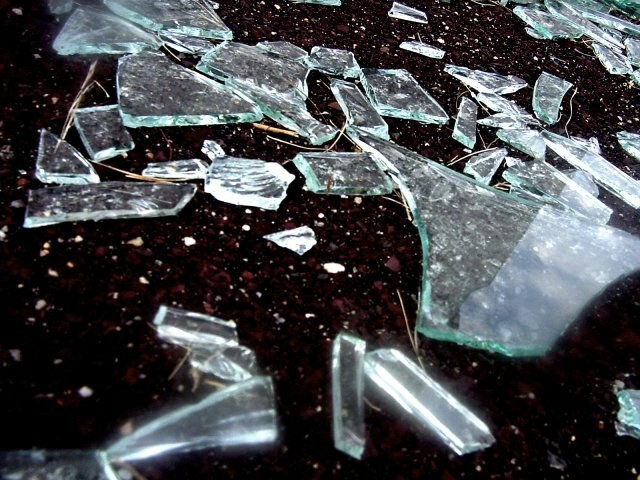 A fifth of all waste in landfills is broken glass. That is why researchers are actively working on the possibilities of recycling glass. One of the leading trends of the secondary use of broken glass is the manufacture of building mixes. Glass is subjected to grinding and then added to the concrete mix. Concrete with the stuffing takes on a new physical-mechanical characteristics enabling it to withstand the critical loads and influence of aggressive environment. Another advantage of this technology is the efficiency of the recycling process, the resulting material is not only effective in its characteristics, but also cheap. It makes industrial businesses to open on-site reception points for glass and glass containers. To take there glass in any amount and form. Moreover, to obtain a certain amount in accordance with the weight of accepted waste. Factories engaged in processing of broken glass, working with industrial quantities of cullet. It is obvious that the delivery of the waste of such a plan to the platform processor is unlikely. That is why beginning to grow a small company involved in the collection and accumulation of a secondary raw materials for further selling it to recycling companies Such companies currently exist in most major cities, their network is constantly expanding. To hand over in points of reception of such companies can be any kind of glass - from glass to Windows. To clarify the presence and the address of the nearest companies of this profile in the administration of their district - collectors and processing enterprises, mainly private firms, but the mandatory rule for them is to pass the state accreditation. You can refer to the management company, which, if itself does not collect domestic waste (for example, does not have permission to this activity), then in any case have to arrange a third-party company. Usually one or two times a month on the territory of microdistrict comes to the truck, which takes the glass from citizens. In order to save a ZHEU, TSZH out of the situation differently: in its own grounds set containers to collect scrap. To throw away the glass at any time and without restrictions.